Recently, I have fallen in LOVE...with Exit Tickets. 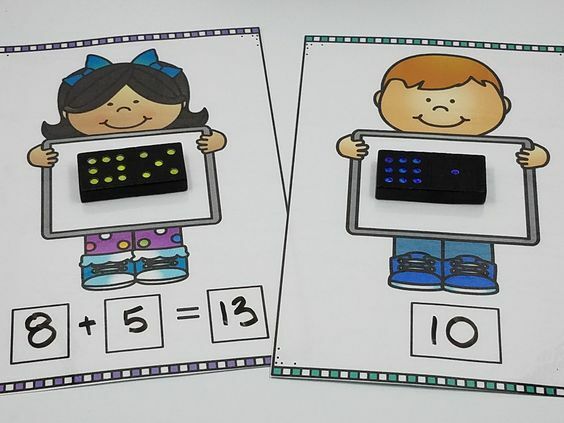 They are a quick and easy assessment to grasp if your students understood a concept or if they need a little reteach. It takes less than 5 minutes and I use them to drive my instruction and meet my students diverse needs. 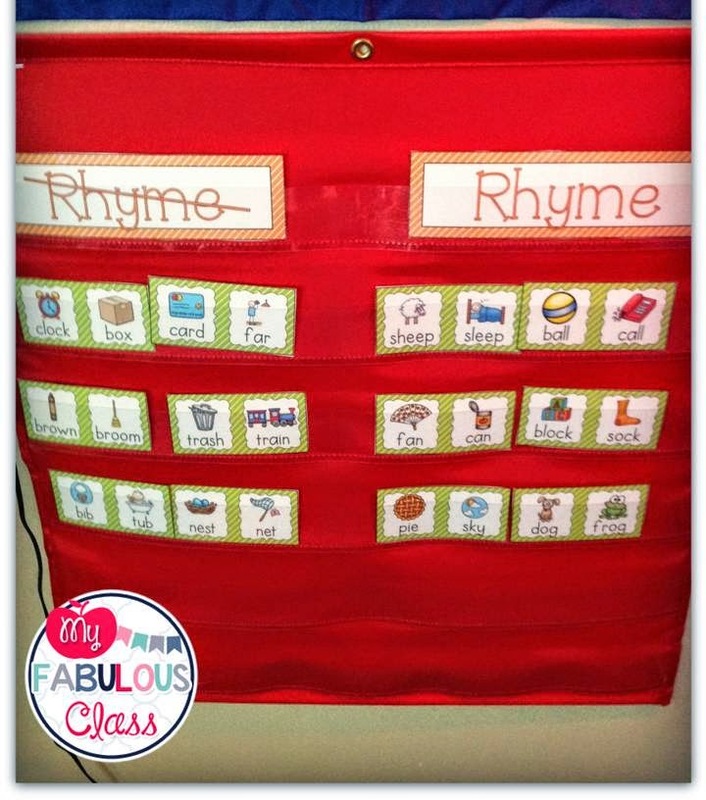 There are so many ways to use them in your classroom. Sometimes, I give them to the entire class but more often then not, I use them at centers, during Guided Reading, and during my intervention block. 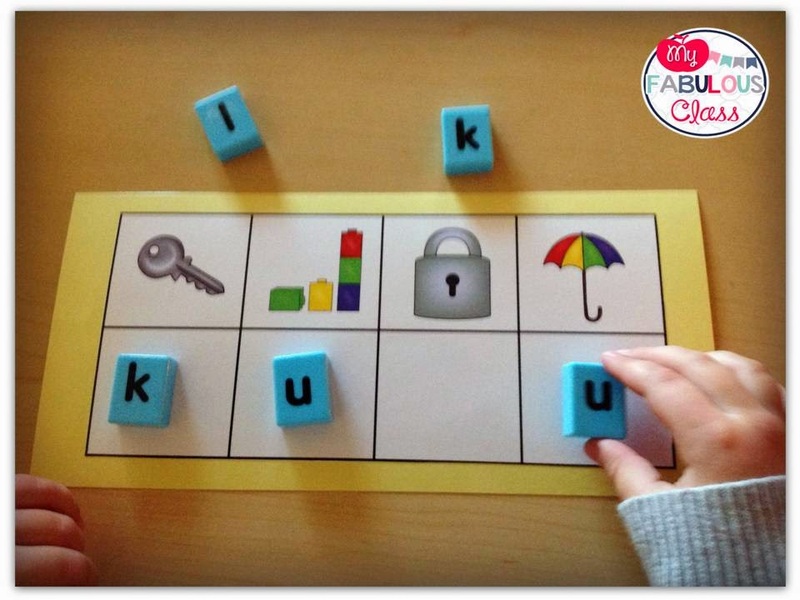 We have been working on short u sounds as a class. I did give the entire class this CVC Exit Ticket. It took 5 minutes, with coloring. All but two students got the short u sound, but I noticed 4 kids still aren't hearing those ending sounds. I can work on that with them in small group. In one of my Guided Reading Groups, we are working on beginning sounds. 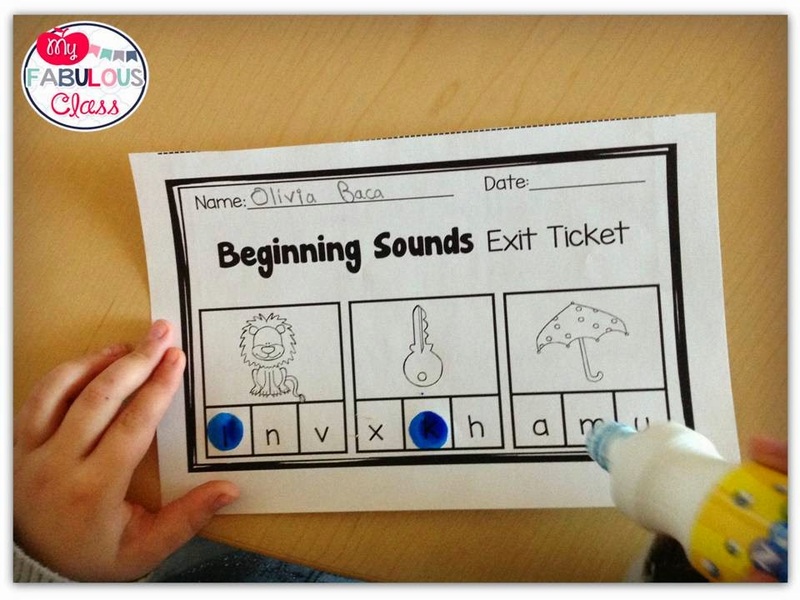 Everyday, we do word work involving beginning sounds. 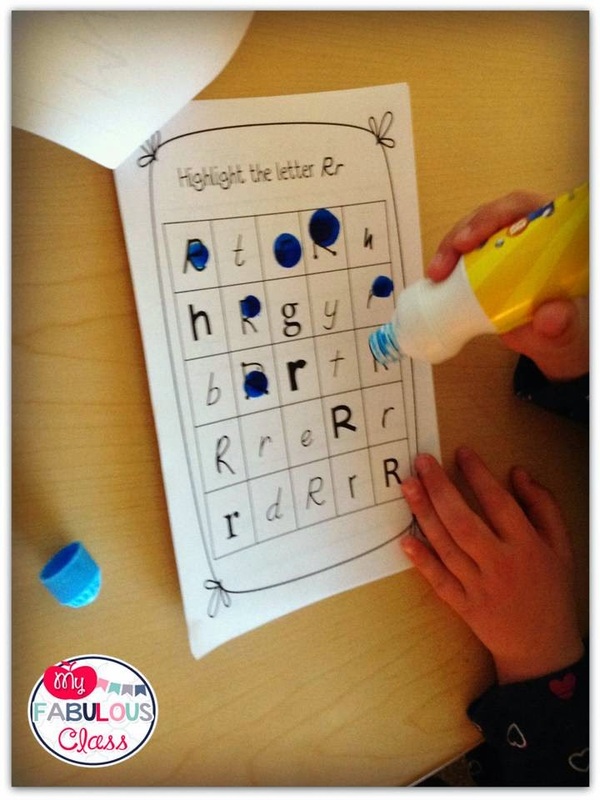 This activity is from my Beginning Sounds Mega Pack. I like to have documentation where my students are performing. What kid doesn't LOVE using dabbers? At the end of the week, I gave this group a beginning sounds Exit Ticket. 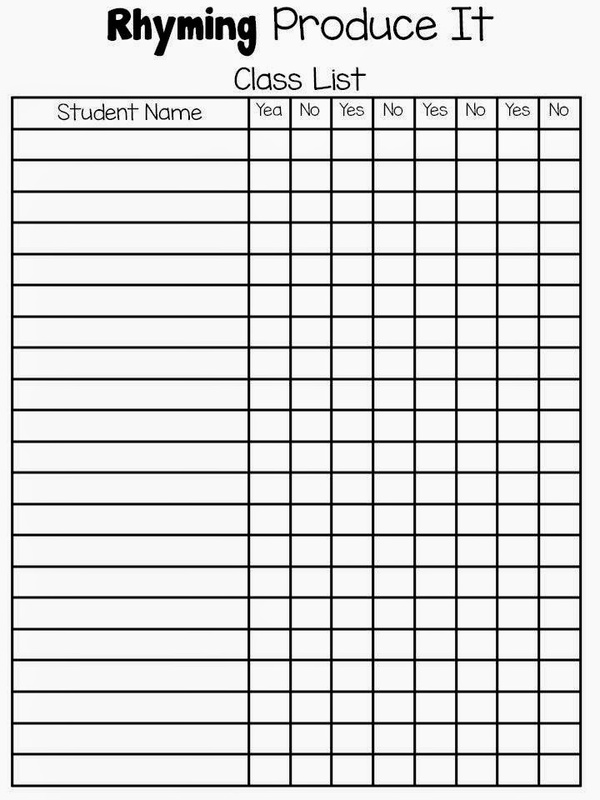 I placed it in their folder and have great documentation for Parent Teacher Conferences. One of our literacy centers this week was working on rhyming words with this fabulous Haley O'Connor. You can get it here. 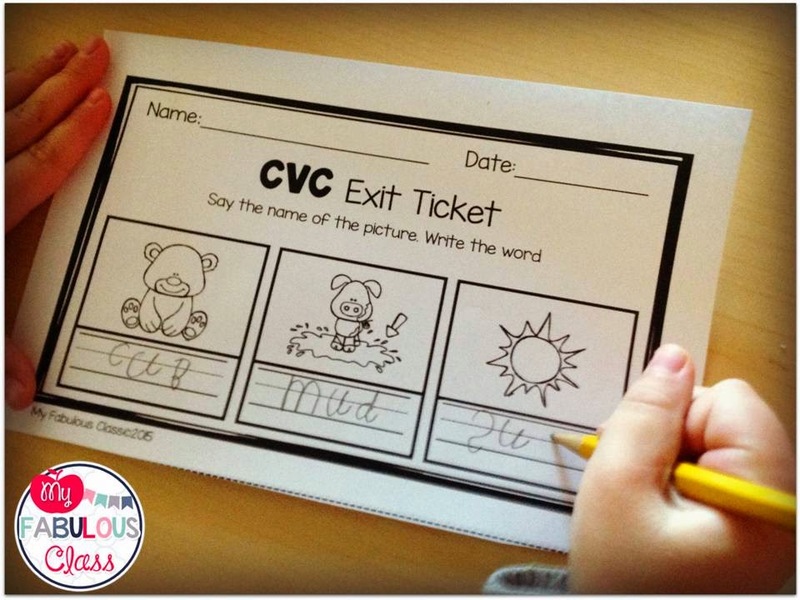 Now, I do not use exit tickets EVERYDAY at every center, but I like using them once a week to see if students are grasping the concept.My Rhyming Exit Tickets went PERFECT with this center. 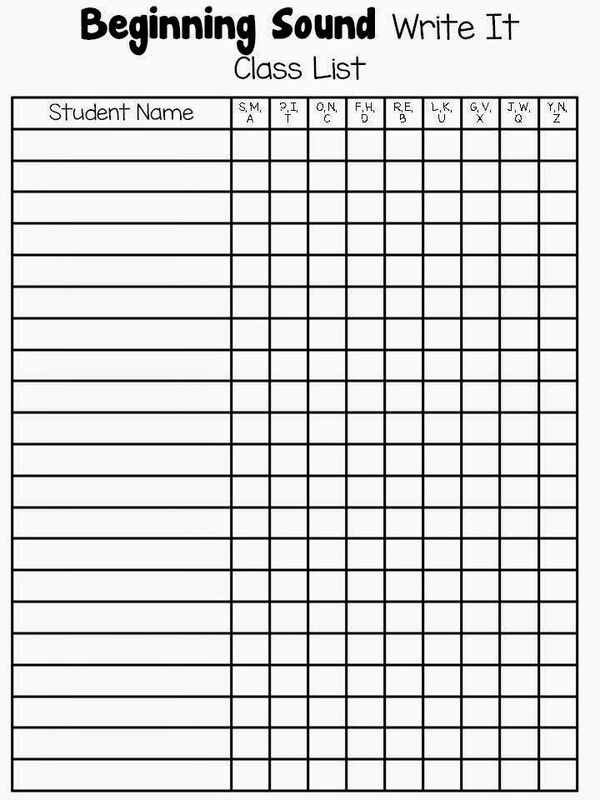 I have included easy to use class data sheets with each set of Exit Tickets. This way I can see who has mastered a concept and who needs more time. That brings me to my intervention groups. Some of my kids are still working on letter identification. This picture is from my RTI Alphabet Books. These books are available in both Print and D'Nealian Fonts. 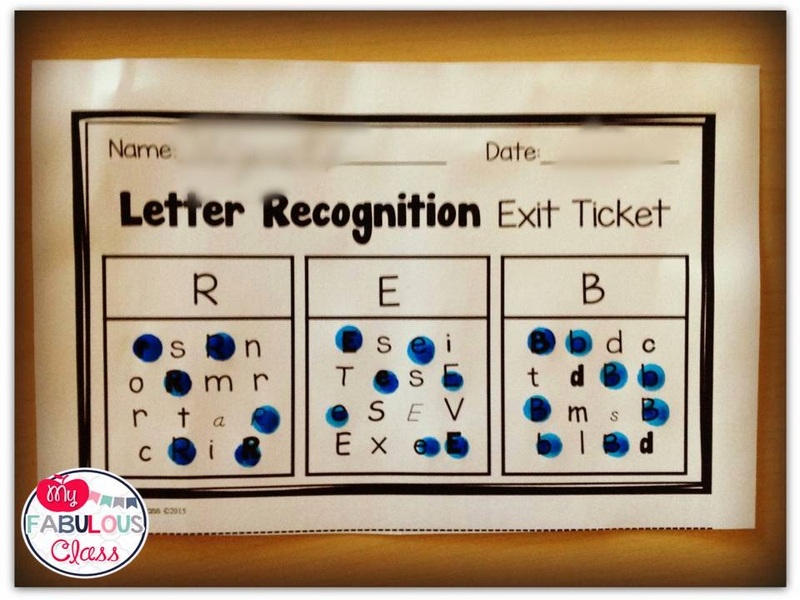 The Letter Recognition Exit tickets are perfect for keeping data on my students who need extra support. 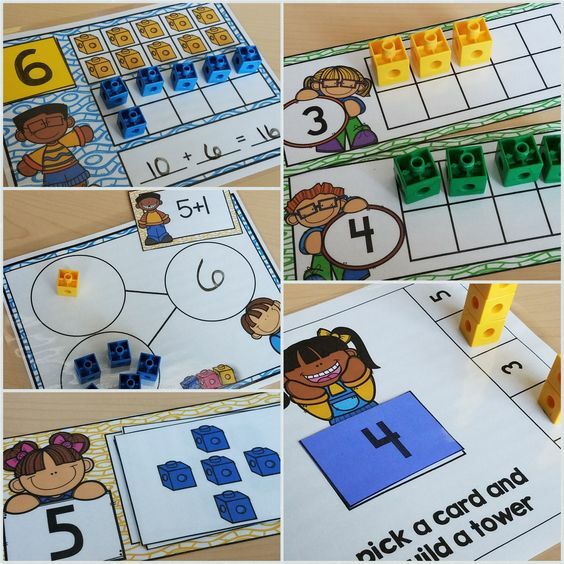 I am also excited to use these next fall with my new kinders. All of my Exit Tickets have 2-3 different styles to teach the skills. You can view ALL of my Exit Tickets HERE. 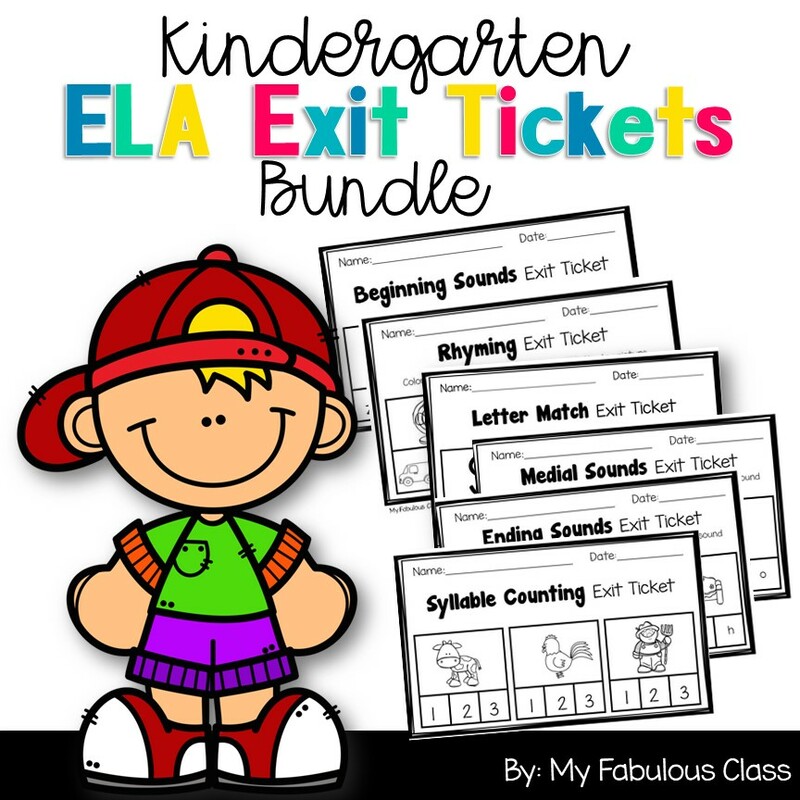 I highly recommend the Literacy Exit Tickets GROWING Bundle. Right now, it is only missing one set, digraphs. once I add that, the price will go up. 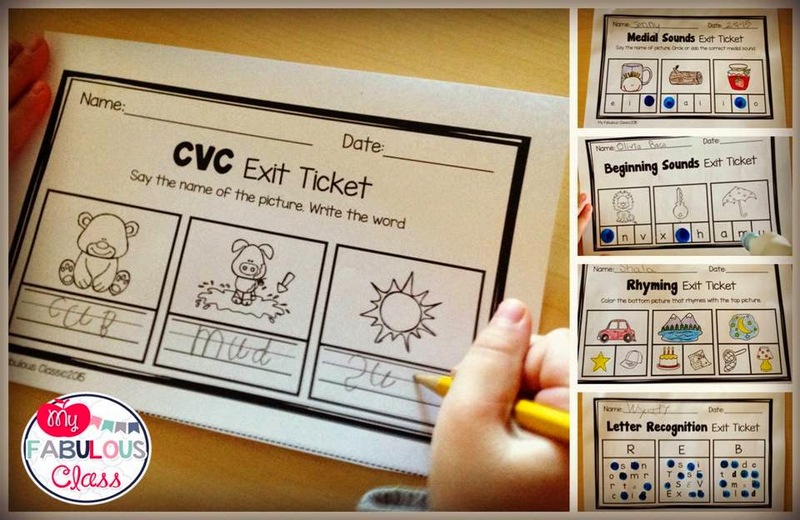 I hope you all can see how useful Exit tickets can be. 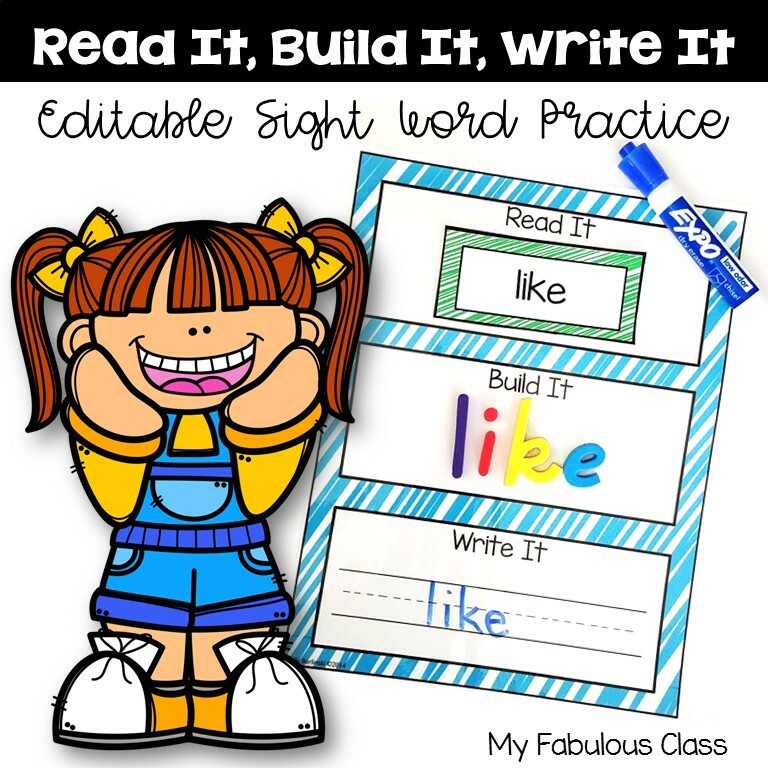 They are quick but give you USEFUL data to help drive your literacy instruction. 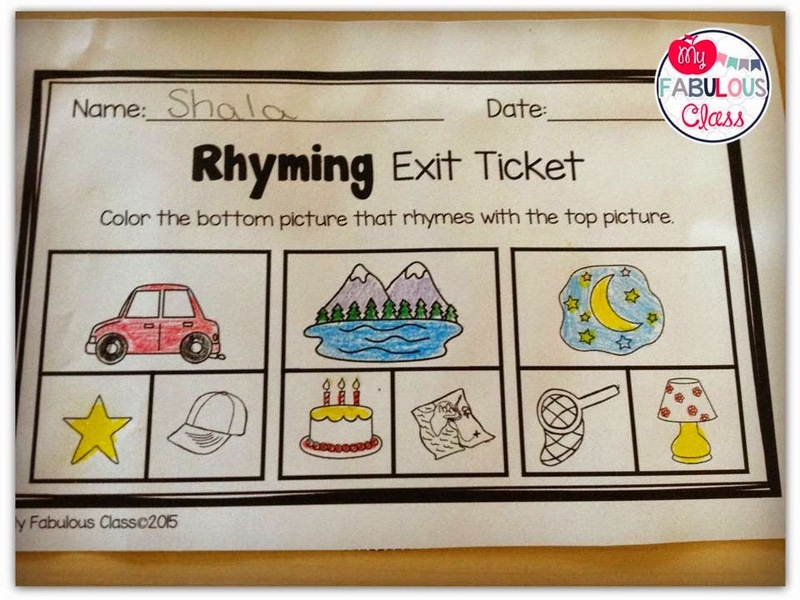 I was wondering for the rhyming sample exit ticket, what is the last rhyming pair?